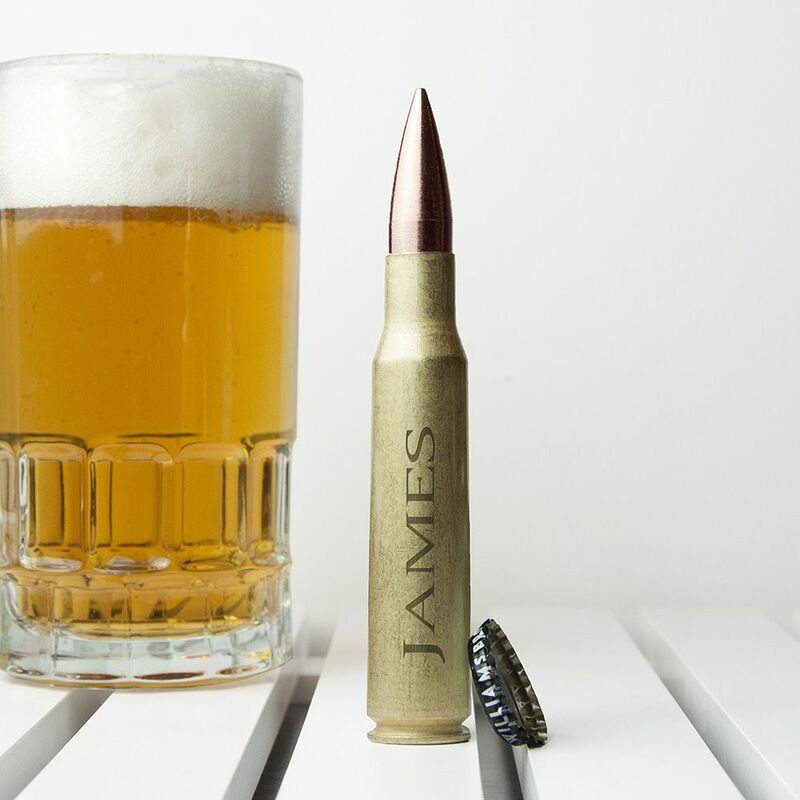 Beer o'clock time! 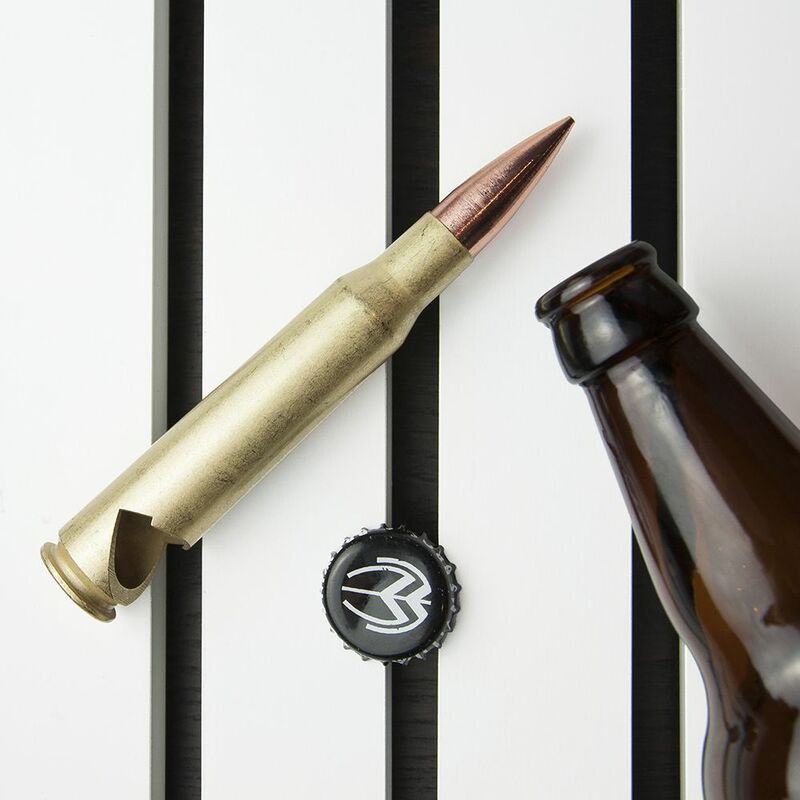 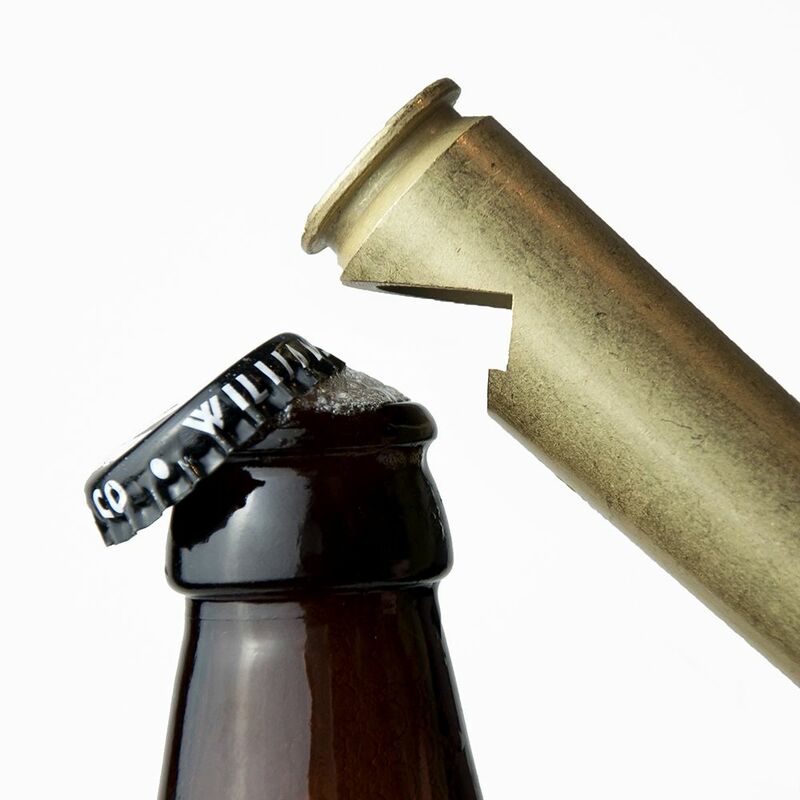 Hand cut from a real bulletthis bottle opener is the ultimate man cave accessory! 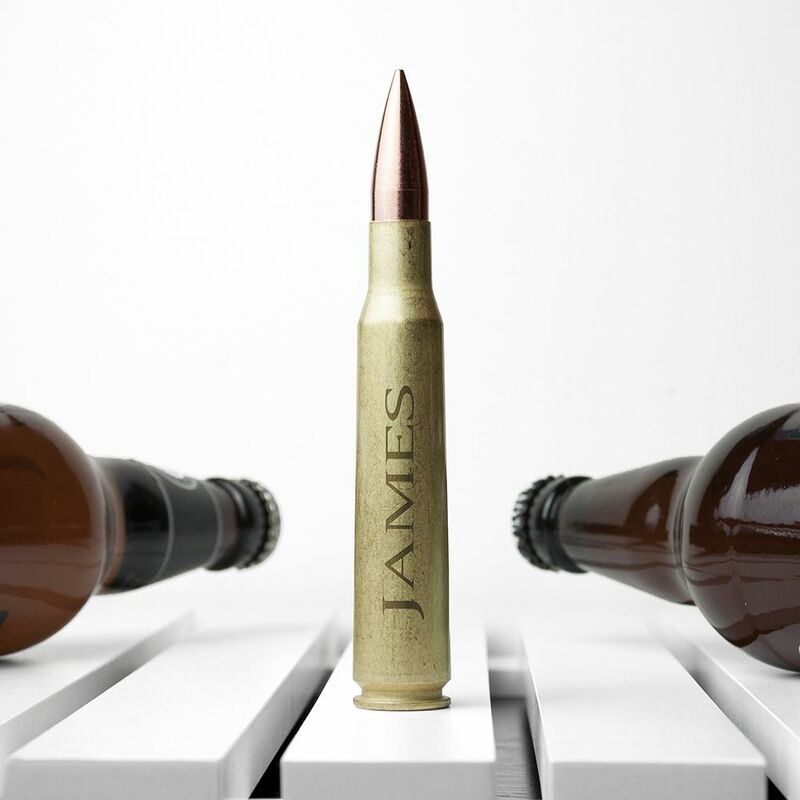 The 50 calibre bullet is engraved with a name of your choice making it the perfect gift for the groomsmen and best man. 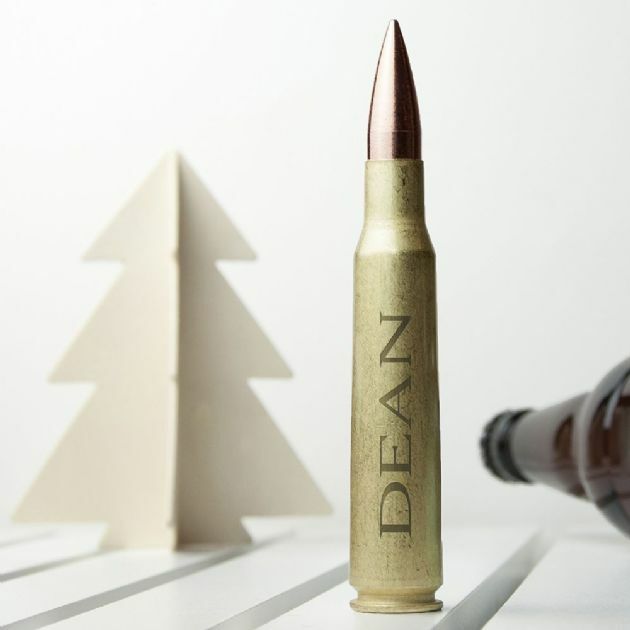 This opener is certainly a talking pointlarge and once deadly it's a real manly mans gift.